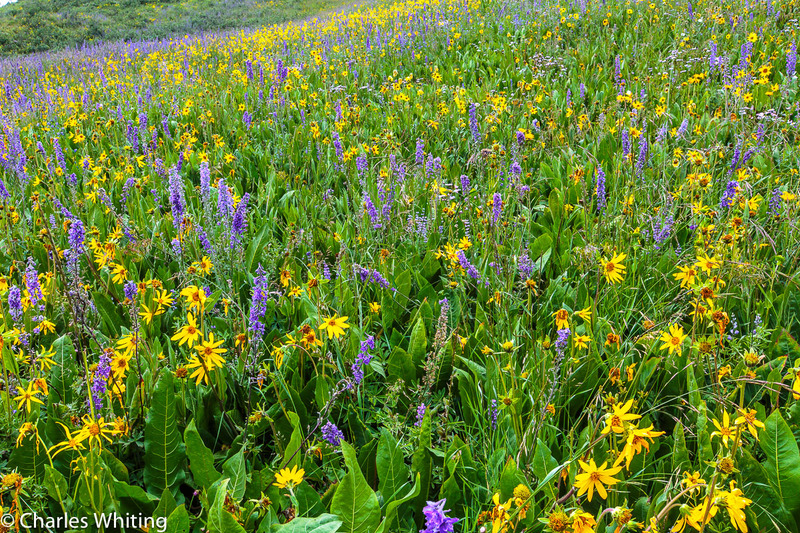 A field of blue Larkspur and yellow Aspen Sunflowers in the shadow of mount Crested Butte. Crested Butte, Colorado. Photo © copyright by Charles Whiting.